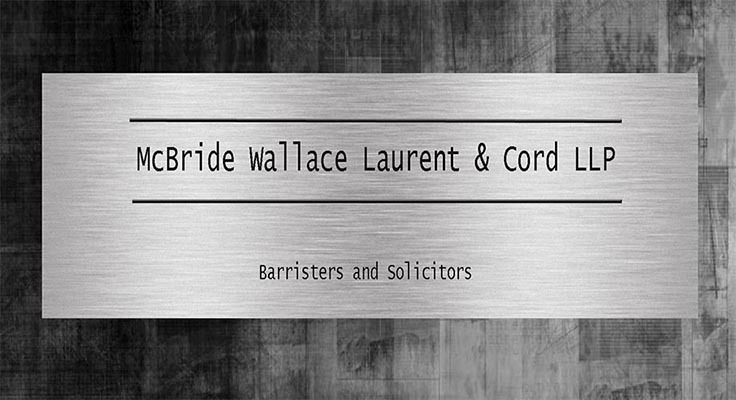 McBride Wallace Laurent & Cord LLP is a full service, mid-size law firm based in west Toronto. Established in 1968, our clientele includes individuals, large and small businesses and corporations, and financial institutions. Joseph McBride (called to the Bar in 1954) founded the law firm of McBride Wallace in 1959. Paul Laurent (1972), William Cord (1982) Michael McBride (1982), Pierre Sicco (1990), and Walter Kravchuk (2009) joined and have grown the firm over the years. It now includes our tax counsel Marion Howard (1979), Richard Diniz (2012), Gregory Uhrynuk (1987 – in association with MWLC), and many experienced law clerks, all of whom bring years of knowledge and experience to the firm, which translates into professional, common-sense, and efficient solutions for our clients. Our firm was built from the ground up, and we understand the needs of our clients, whether they are large or small. Our firm believes that each client’s needs are unique and tailors a solution accordingly. Our lawyers appreciate the need to be result oriented, cost-effective, practical, responsive and sensitive to each matter, always keeping the client's needs first. MWLC offers the services and expertise of larger firms in a location that affords greater accessibility and convenience to our clients. We have built and pride ourselves on strong and lasting relationships with many of our clients. 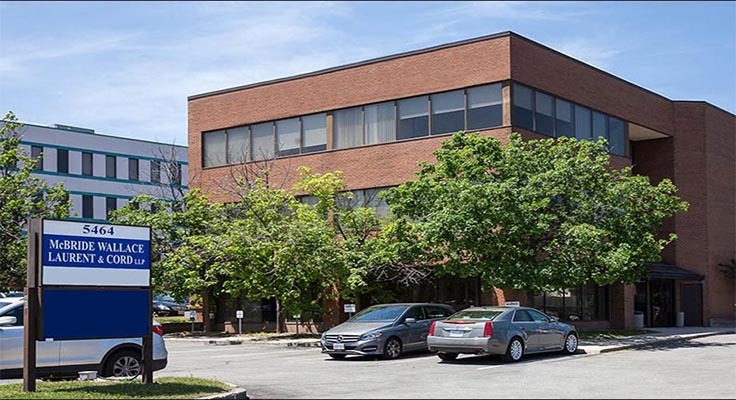 MWLC has established itself as the firm of choice for many residents of the Greater Toronto Area and beyond. 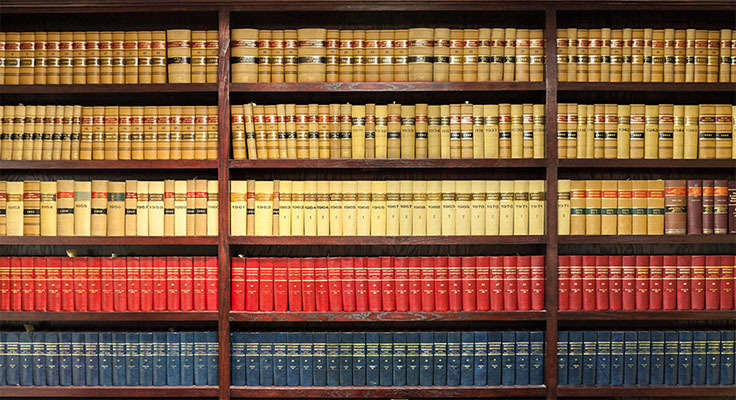 Our lawyers at all times strive to be well regarded and respected within both the legal profession and the community at large. Most reside in west Toronto or Mississauga and are active in their communities and parishes. 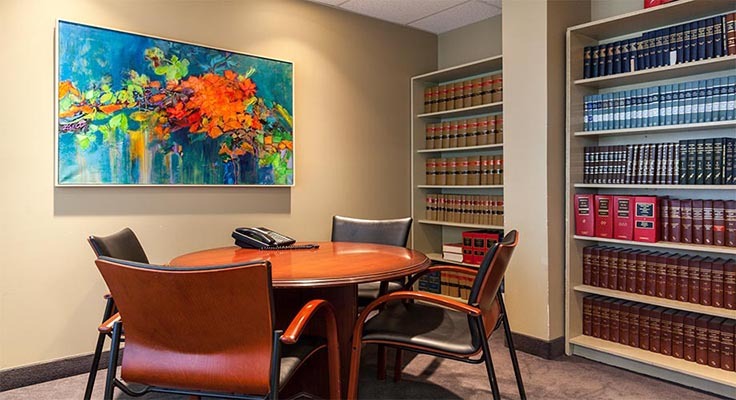 We are members of legal associations such as the Advocates’ Society, the Criminal Lawyers’ Association, the Ontario Bar Association, the Toronto Lawyers Association, and the Ukrainian Canadian Bar Association. Between our lawyers and staff, we have the ability to communicate with our clients in the following languages: French, Hungarian, Italian, Punjabi, Russian and Ukrainian. When required, we have access to certified translators for virtually any language. We offer flexible appointment hours and are happy to visit an elderly or disabled client, or a prospective client, at their home. We are committed to protecting the privacy of our clients and prospective clients. From the initial consultation to our closed-file processes, we adhere to our professional obligation to maintain and protect your confidential information.